A fun and funky mug that is sure to be a hit with the recipient. Our personalised 100% Sheffield Wednesday FC mug is a great present for any Sheffield Wednesday FC fan! Approved and fully licensed by Sheffield Wednesday FC. 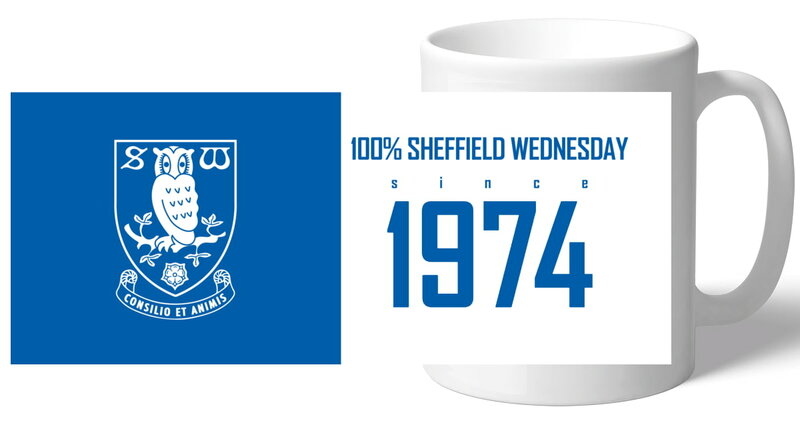 We merge your chosen year onto the mug to read "100% Sheffield Wednesday since (YYYY)", making this the perfect birthday gift. 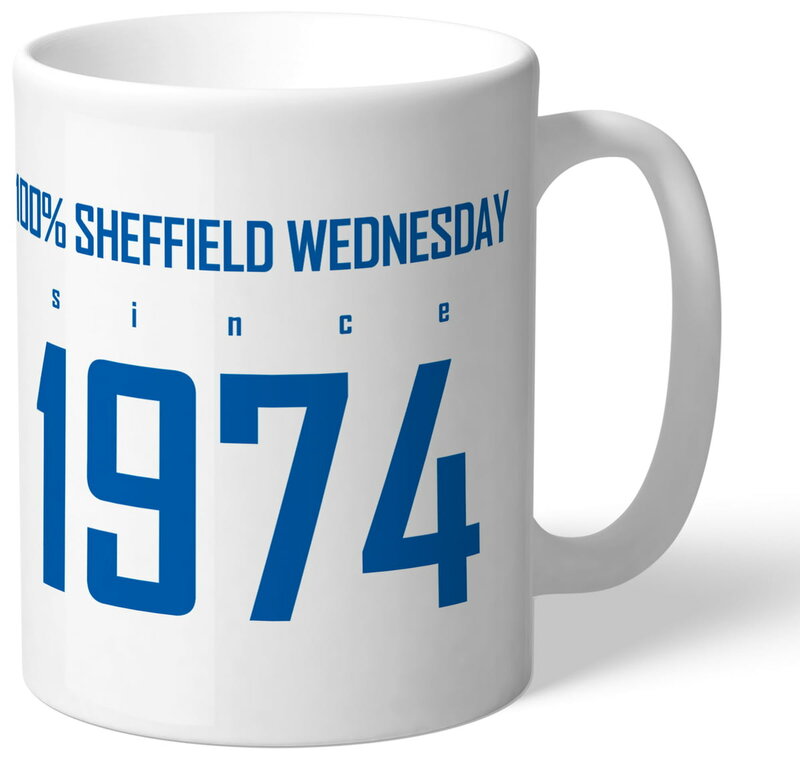 Our Sheffield Wednesday FC mugs are dishwasher and microwave safe. This is a fabulous present for any Sheffield Wednesday FC fan and is approved and fully licensed by Sheffield Wednesday FC. Our personalised Street Sign Mug is a fabulous present for any Sheffield Wednesday FC fan and is approved and fully licensed by the club. This truly stunning gift is sure to raise a smile as the recipient sees their personalisation on the Sheffield Wednesday Evolution Mug. This truly stunning gift is sure to raise a smile as the recipient sees their personalisation on the Sheffield Wednesday Love Mug. This truly stunning gift is sure to raise a smile as the recipient sees their personalisation on the Sheffield Wednesday Stripe Mug. One of our best-selling Sheffield Wednesday FC gifts of all time, this personalised dressing room mug is the ultimate must-have for any Sheffield Wednesday FC fan.